I hear you! Just stick to the ones you love most! I just stuck to my usual suspects: hughes, artgerm, capullo, lee, and ross. DC is killing me with these things. Years ago, before the current variant onslaught was a gleam in some cynical marketer's eye, I set my mind to collecting every cover with Catwoman on it. She's always been a favorite character, and I figured collecting every actual appearance was unlikely (cough - Batman #1 - cough). This wasn't a difficult goal and proceeded painlessly for some time. Then Batman 50 hit. I have 46 different covers of that book and still don't have all the ones I need. 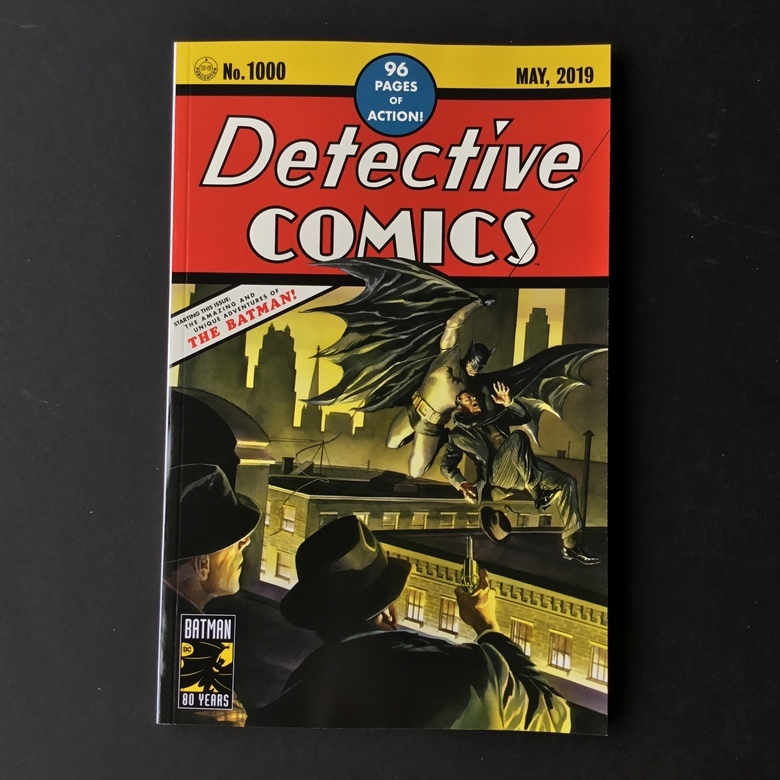 Detective 1000 doesn't look quite so bad, but still. Maybe I'll have a couple years of breathing room before Batman 100 shows up. Or I could just abandon this mad quest. What cover is the original #1,000? They did a "through the decades" type thing, but I believe the Williams/Lee vertical cover is the "original #1000". Edit: I supposed by perspective they can all be vertical. It looks like a wrap-around, but is not. Instead it's rotated longways across the cover, shifted 90 degrees to normal cover orientation. Similar to Eden's Trail (if you're familiar with that). 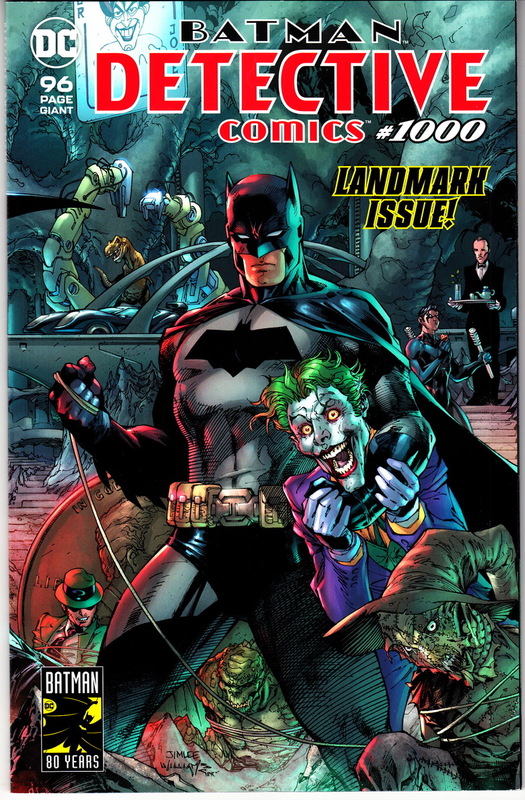 Is this the cover that has "LANDMARK ISSUE" on it? I like the Robinson swipe...got this the CHO (love all the wacky versions of batman) and a blank one for a future sketch??? Just wondering...did Neil Adams sh!t the bed on this and action comics?? I know that when I think of classic Batman and Superman covers - Steranko comes to mind!!??? Not that I don't like Steranko and all, but not who I connect with Batman/Superman or DC in general. I like the Neal Adams cover....but like the others I wanted...not available. I picked up the Lee/Williams "landmark" edition. Didn't even know there was a Neil Adams cover!!! Guessing one of the 80 variants rather than the through the decades covers? Gotta be honest, not sure. 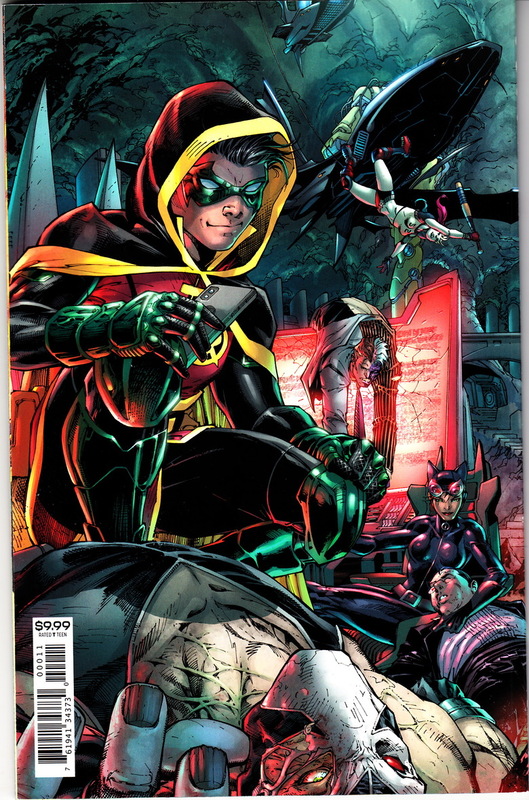 I've been getting my variant info largely from https://www.comicburst.com/blog/detective-comics-1000-complete-cover-checklist/ . I picked up Capullo. Pass on the rest. a table full so I broke down and bought a copy. I got 2 copies of this one. This is the only one I bought. Accidentally the best choice I've made yet. Wow, are they all $10 a pop? I wonder if Batman has a cash grab antidote in his utility belt. I have been watching a lot of the Adam West Batman series lately. Lol. It's $10 for about 100 pages. Not bad on that count. Not all of them. The Harley jet hung lee and the Ross covers were multiples of $10 when they went on sale. B&N selling comics again? BAM! Finally stopped starting 2019. 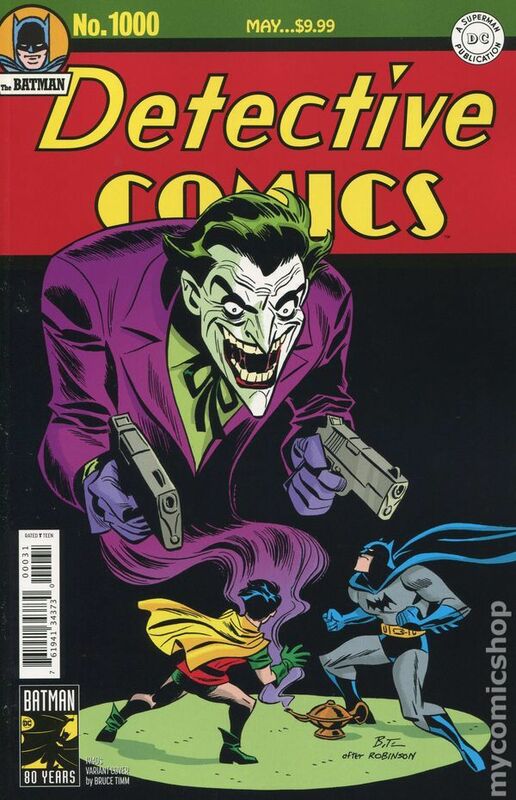 COMICS: 80 YEARS OF BATMAN" book...$5.00 each if you bought the $29.00 book...regular price if you just bought the comic. 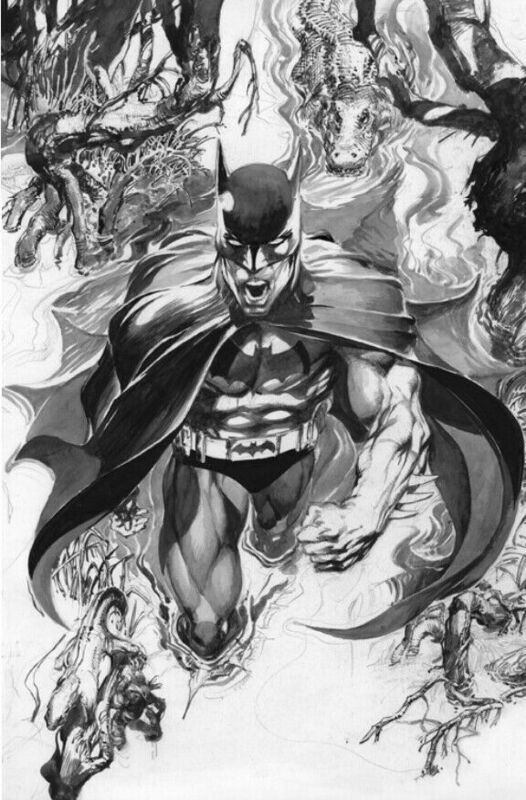 Open question for @kaptainmyke or anyone else that ordered the Alex Ross variant directly from his shop. I was too late and ordered mine from a seller off eBay. He is now telling me he has yet to receive the copy he ordered, hasn't been getting responses from the Alex Ross shop, and never received any details regarding shipping. I find all of that very difficult to believe and think the seller realized what the copies are selling for now and is hoping I just give up and ask for a refund. What was your experience with your order? Check the sellers sales. See if there are any other presales of this or any other of the Ross Tec 1000 covers by this seller and if he has gotten any feedback. On them. I wouldn’t give up. Price will likely drop once the hype dies down, so if they are Don’t let the seller off the hook and if he is scamming you at least don’t allow him to relist and get the current prices. Keep monitoring his sales to to see if he throws one up on eBay. Might catch him in the act. I ordered from the Alex Ross store directly so I couldn't tell you, sorry.